A hot chocolate kind of day. It finally feels like...winter. Bundle up! 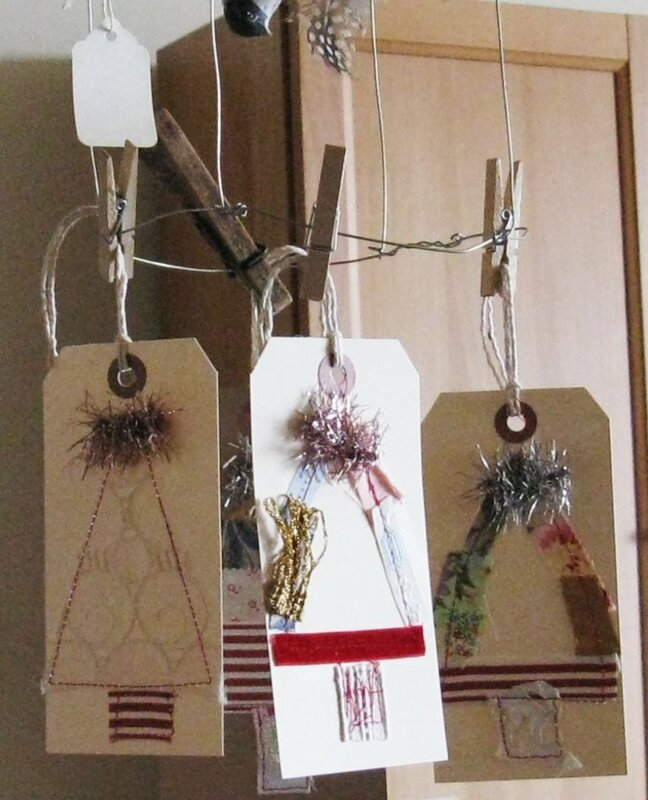 I'm thrilled that my Yule tags have sold -- a bunch of them have just been mailed to Montreal. Another set went earlier to Massachusetts. I really love these tags, and when they go so quickly, it validates what I'm doing. These went into the shop today. Be well, be safe, keep warm. Posted by A bird in the hand at 2:24 p.m. I'm just stopping by new blogs and thought id leave a comment. Id like to wish you and your readers a very Happy Thanksgiving and the memories that go along with it. Richard from Amish Stories.